My first OS, please enjoy! "What's with this weird feeling..."
Keyakizaka46 was currently filming for their variety show "Keyakitte Kakenai" and Risa watched as Neru was talking happily about bringing Fuyuka to her hometown, Nagasaki. Seeing Neru so happy almost made Risa smile but she managed to hold herself back and put on her signature poker face. "Why can't it be me instead of Fuyuka- Wait what?" Risa's thoughts were running all over the place. It has been happening a lot recently, whenever Risa sees someone talking with Neru, she'll wish it was her instead. "Don't kid yourself Risa, you're not even that close to her" Her inner self told her. And as much as she'll hate to admit it, her inner self was right. Risa and Neru were not close at all. Despite both being the same age, they rarely talked to each other. Risa was always with Manaka and Neru with Fuyuka. It doesn't mean they have a bad relationship, of course, but Neru probably thinks of her as a fellow member only. The closest they've ever been was during the filming for the TokuDare drama, where Risa's character had a crush on Neru's. Ironically, it was after that drama where Risa started developing feelings for Neru but after that drama they went back to their usual lack of interactions. Risa looked down at her clipboard and the name that was written on it. She smiled. Manaka, her close friend and the other half of The Cool. "Will Manaka write my name?" Manaka was unpredictable at times and Risa was worried that she'll make a fool out of herself if Manaka chose someone else. The moment had come. Manaka was going to open her flipboard now, after Moriya unexpectedly wrote Risa's name and with Yone writing Manaka's name, Risa can't help but feel nervous. "Flipboard, open!" Sawabe said and Manaka opened her flipboard. It had Risa's name on it and was decorated with many hearts. Risa felt a sense of relief and she could not help but smile and jump around while shouting "I'm happy!". Soon, Risa was asked to open her flipboard and a couple between Risa and Manaka was formed. Risa was happy as she and Manaka do not usually hang out so this was a great opportunity for the two of them to go somewhere fun. "So why am I still affected by Neru and Fuyuka?" They were currently on their way back to their dorm and Neru can't help but have a strange feeling that someone was staring at her. She turned her head back and saw Risa, their eyes met for a short while before Risa quickly turned her head away. Neru sighed, "Does Risa dislike me?" she can't help but have a feeling that the Cool Watanabe is not really fond of her. Neru was usually an outgoing person but when it came to Risa, she can't help but be scared to talk to her. "But Risa seems fine with the other members...so why only me?" Was it because of the TokuDare drama? Maybe Risa disliked all the interactions she had to do with Neru. It was only after that Risa started acting strangely towards her. Neru could always feel Risa staring at her when she was talking to the other members but when she turned around Risa would always look away immediately. One time, when Neru tried to talk to Risa, Risa gave a short answer before ending the conversation, leaving a very awkward and embarrassed Neru. Since then, Neru hasn't initiated a conversation with Risa. Looking back at today's filming, Neru can't help but think about how happy Risa was when Manaka wrote her name on the flipboard. "Why can't she be like that with me..."
Neru felt sad. Why did she have to develop a crush on someone who would not even talk to her? It was just admiration at first, but soon Neru fell for Risa to the point of no return. Sadly, it seems that Risa clearly did not share Neru's feelings. At least, that's what it seemed like to Neru. Neru tried to put all her thoughts away and sleep, but she could not help but think about the Cool Watanabe for the rest of the ride to the dorm. It was late at night and most of the members were fast asleep. Except for a certain Watanabe Risa. Risa was at the balcony, sitting on the bench. It was something she loved to do when she needed to clear her mind and she definitely needed it after the filming for Keyakitte today. Neru's happy smile kept appearing in her mind which caused her to smile but she stopped when it hit her that the smile was not meant for her, but for Fuyuka. "I need to stop being delusional and wake up, Neru would never like someone like me." Risa thought. Yet, her heart said otherwise. And Risa knew that. Risa's thoughts were interrupted by the sound of footsteps. This caused Risa to be on high alert. It was unusual for someone to be awake this late at night. She stood up and slowly walked back towards the living room until suddenly,she bumped into someone and felt a huge pain on her cheek soon after. "I'm so sorry Risa, I didn't know it was you." Neru kept apologizing profusely to Risa before slowly placing the pack of ice on her cheek. The sudden coldness made Risa flinch and this caused Neru to put the ice pack away. "Does it hurt?" Neru asked and Risa nodded her head and said, "I'll get used to the coldness, it's fine" and Neru put the ice pack back on Risa's cheek. "I'm really sorry Risa..." Neru couldn't help but say it again. "I already told you, it's fine." Risa replied. "Maybe it's my punishment for being so cold towards you." she thought. "Still...I feel very bad, I'll do anything to make it up to you." Neru said. "Why did I even say that? She'll probably ask me to be her slave. Why did I had to slap Watanabe Risa out of everyone?" All Neru wanted to do was to go to the kitchen to get some water to drink, but she heard footsteps and she decided to investigate. She bumped into someone and since it was late at night, she couldn't see the person she bumped into and assumed someone had broke in and out of instinct, slapped the person. Until she heard a groan from a voice that sounded extremely familiar and she realized she screwed up. Big time. Now, back to the present, where Neru was nervously waiting for a reply from Risa. 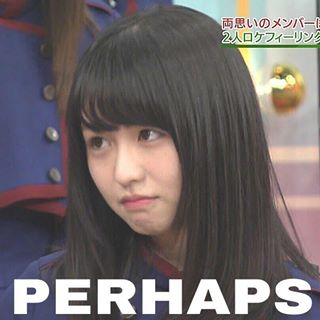 Risa thought for a while, and asked Neru, "Anything?" and Neru nodded her head, despite knowing that it was probably a bad idea. Risa was cracking her brain, trying to think of something, before she had a great idea and she turned to Neru with a smirk on her face. "Ah...look at that smirk. I'm so screwed." Neru was internally bracing for what was to come but Risa's reply was something unexpected. "You want me to...go on a date with you?" Neru slowly asked. And Risa nodded her head. "But why?" Neru asked. "Didn't you say that you'll do anything? Why are you questioning my request?" Risa said. This caused Neru to stop asking questions, since the Cool Watanabe was correct, Neru did say she'll do anything to make up for it. "Besides, you hurt my cheek and my pride along with that. So this is your punishment" Risa continued. "But why a date? I thought you'll ask me to be your slave or something." Neru said. Risa could not stop laughing after hearing what Neru said. Neru felt that Risa was acting so strange, Risa was always so cold to her and yet now she's asking Neru to go on a date with her? And she couldn't believe that Risa was laughing at her question, she had never seen Risa laughing when talking to her. However, despite Risa's strange behavior, Neru decided that Risa's laughter was the most pleasant sound she had ever heard. After the Cool Watanabe finally stopped laughing, Neru turned towards her, expectantly awaiting her answer. "Ah...so embarrassing...but it's now or never." Risa turned to look at Neru, but couldn't help but blush profusely. "Actually, it's because...I like you." Risa said before covering her face with both her hands from embarrassment. Neru was taken aback. Watanabe Risa liking her? Neru couldn't help but pinch herself to make sure she's not dreaming. Judging from the pain she felt when she pinched herself, it's definitely not a dream. Neru looked at the embarrassed Risa and couldn't help but giggle. Everything made sense to Neru now, why the Cool Watanabe was acting so cold towards her and why she kept staring at Neru. All the strange things Risa did clicked together, and Neru can't help but feel happy knowing the true reason behind it. Meanwhile, Risa was feeling extremely nervous, Neru wasn't saying anything and the time passed excruciating slow and painful for Risa. "Why did I even say that? I could have just made up some stupid excuse but I had to go and tell her the truth and look at the situation now." Risa chastised herself. She was too into her thoughts that she didn't feel Neru tapping her on the shoulder. "Risa? Can you look at me?" Neru said to Risa, trying to grab her attention but Risa was still covering her face with her hands and shaking her head profusely. Neru sighed, seems like she had no choice left but to do this to get Risa's attention. She removed Risa's hands from her face and gave Risa a peck on the cheek. Risa felt Neru's lips on her cheek. She turned to look at Neru who was blushing profusely, and put her hand on her cheek, forgetting it was the one that Neru slapped and she immediately flinched from the contact. "Sorry, it was the only way I could think of to get your attention but in case you still didn't get it, I like you too." Neru said. Risa was on cloud nine, Neru actually likes her back! All this time, she thought it was just a meaningless crush, but who knew it'll turn out like this? "Does this mean you'll go on a date with me?" Risa asked. "Of course I would silly, I would go on many many dates with you." Neru said while flashing the smile that Risa loved so much. It was getting late so Neru said that they should discuss the details another time and go sleep first. Risa agreed and after sending Neru off to her room, she walked back towards hers. She was extremely happy, she thought that Neru would reject her and their relationship would be even more ruined, however it was the complete opposite, and to think that Neru thought she'll ask her to be her slave. Risa laughed. Things couldn't have gone better for her today. However, now she had a problem to worry about, which is how on earth is she going to explain the bruising on her cheek the next morning? "This Neru...Despite her small size, her slap hurts a lot." One thing's for sure though, that slap was so worth it. Hope you enjoy the fic. That was such a cute oneshot! Haha, Neru's wild child strength into a slap makes Risa hurt. It's so cute that both of them don't know about each others feelings. And that Neru with her wild slap.